C.C® Bun/Pony Beanie Only $13.99 + Free Shipping! These are the best!! 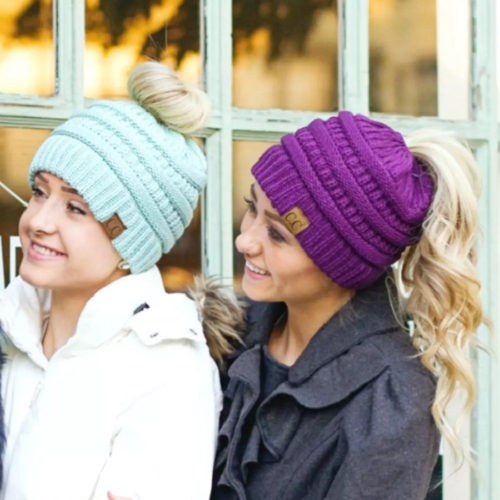 Head over to Jane where you can get one of these CC Bun/Pony Beanies for Only $13.99 Shipped! (Reg. $30). These Authentic CC Beanies are made with the same quality you are accustomed too. They feature an elastic hole in the top to pull your hair out! These beanies are Authentic C.C. quality. They will arrive with the authentic tag, registered trademark, and the quality fit that you are used to from your favorite C.C. products. Made of 100% super soft acrylic, they are perfect to keep you warm on those cold days.